When I first started getting into the OSR, there were three blogs that I got into: Playing D&D with Pornstars, Jeff’s Gameblog, and Hack & Slash. I still read all three of them pretty much religiously. When Courtney Campbell (of Hack & Slash) said he was going to be doing a new Megadungeon zine, I was pumped. One, because I love zines and would way rather collect a bunch of sort of indie-published zines than a bunch of sort of AAA WOTC modules, and two, because I’ve been wanting to run a megadungeon for some time now and am always looking for more advice on how to get it done. I loved the first issue and saw in his posts that he was looking for artists for the second issue. I immediately sent him a query and my portfolio - and lo and behold! I got a shot at doing a few pieces for the zine. These are my first published pieces of illustration in the OSR and I couldn’t be happier with them. 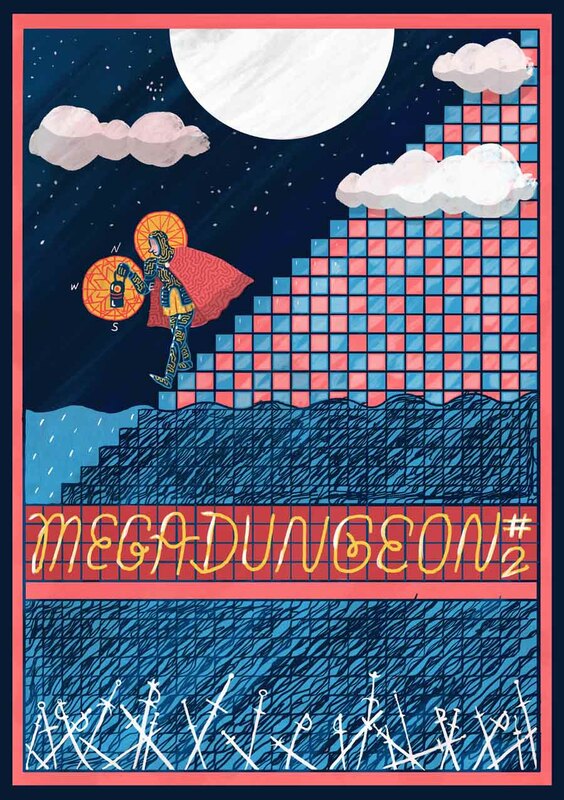 So, if you’re looking for a nice zine with tons of Megadungeon content with a really old-school vibe, you should check out Megadungeon #2 immediately.